The Boardman Mountain Bike Pro is an eye-catching, monochrome bike with an impressive list of features but to really understand its potential off-road you have to look at the testimonials of real users and their personal pros and cons. What benefits can this Boardman Mountain Bike Pro offer as a high-end mountain bicycle? This Boardman Pro has received an impressive number of great reviews for its performance and capabilities and you could say that it is easier to mention the specific features that are not highlighted by users than the ones that are. The handlebars, forks, frame and gears all receive high praise in numerous reviews and a lot of buyers simply summarise their experience by saying that the bike has an all-round high quality specification that exceeds expectations when they consider the price tag. One feature that is worth picking out, however, is the Avid Elixir White hydraulic disc brake system; many cyclists that have tested the bike say they they impressed by the feel and response of this feature. Responsiveness is a key benefit in a mountain bike like the Boardman Mountain Bike Pro and it is a term that has cropped up often when users talk about the bikes performance. 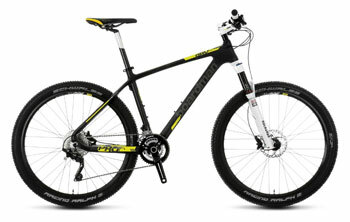 It seems that any buyer can easily take this mtb out on their favourite, challenging trail. He will instantly see a range of advantageous capabilities such as the balance and handling on the muddy bends, the high speed on the downhill and the light weight of the 11.56 kg frame on the climbs. This product appears to be a fast, agile bike that should satisfy the most competitive riders. When it comes to the disadvantages, it will not surprise prospective buyers to learn that there are few negative reviews for this components of this award-winning model. There have been some stand alone comments about personal gripes, such as the gear shift trigger, but the only feature that comes in for repeated criticism is the pedals. It is clear from the lack of complaints regarding the parts and features that this Boardman mountain bike is a top of the range bike with a high specification but many buyers seem to be disappointed that the manufacturers could not continue this trend with the finishing touches. The high-end feel of the frame is let down by the use of the cheap, plastic ties that secure the cables and the paintwork is also criticised for being thin and poorly handled. Interestingly, there is a “Boardman branded finishing kit” listed in the product description. Additionally, some users have questioned why it was considered to be a good idea to put white seat on a bike meant for muddy trails. There seems to be general consensus with the online testimonials for this Chris Boardman bike that it has a good specification for the most part; the brakes are especially good and well worth the money but beware of the pedals and be prepared to replace them. You might not expect a full 5 star, highly professional bike if you buy this model because a few corners have been cut with the finish but, overall, this Boardman bike is an impressive piece of kit that can handle anything that is thrown at it and it could be the ideal lightweight bike for extreme bikers that enjoy a challenge. 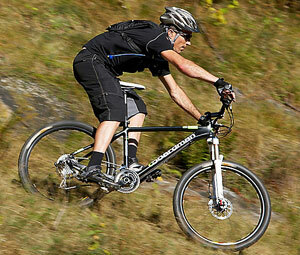 Find more reviews about the Boardman Mountain Bike Pro at Halfords here.